The most famous house on Monterey Square is the Mercer-Williams House, where Jim Williams shot Danny Hansford dead, as detailed in Midnight in the Garden of Good and Evil. 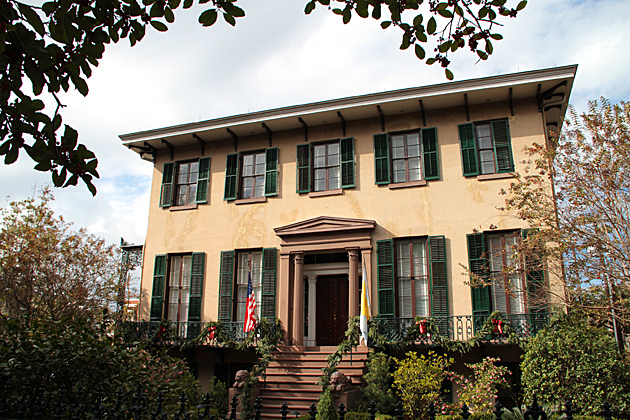 Clint Eastwood’s movie adaptation was filmed on location here, instantly making the Mercer-Williams house the most well-known in all of Savannah. 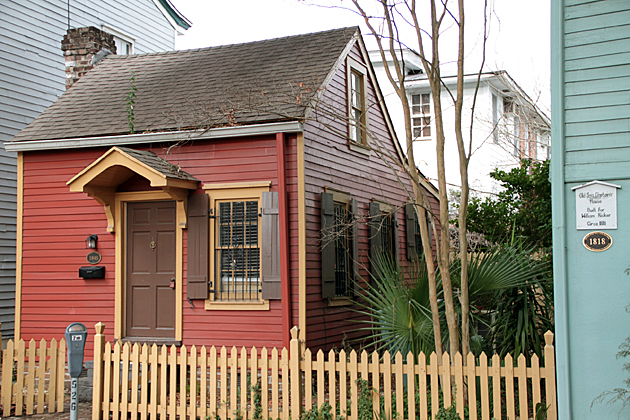 Contrary to popular belief, Johnny Mercer never lived here, although it was his family that built the house. Across the square is the Congregation Mickve Israel, the only Gothic synagogue in America, with one of the oldest Jewish congregations in the USA. Oglethorpe’s colonial Georgia had welcomed Jewish immigrants with open arms, and some of the city’s original settlers were Spanish and Portuguese Jews fleeing Catholic persecution. One of them brought a handwritten copy of the Torah, known as a Sefer Torah, which is still used today for special occasions. Just as the statue of Oglethorpe is in Chippewa and not Oglethorpe Square, the obelisk honoring revolutionary war hero Casimir Pulaski should probably be in Pulaski Square, but it’s a magnificent tribute regardless. Pulaski was Polish, and played a major part in the American Revolution, helping develop our nation’s nascent cavalry. 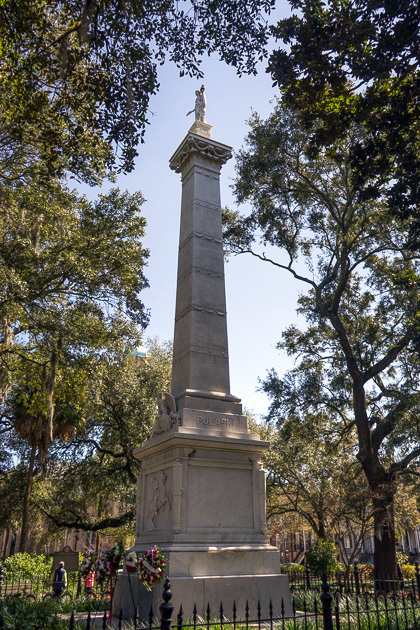 He died in Savannah, and the city has pulled out all the stops to honor him: an obelisk, a square and even a fort out near Tybee Island. Monterey Square One of the most beautiful squares in Savannah is Monterey, named in honor of the Mexican-American War's 1846 Battle of Monterey. With a memorial to Casmir Pulaski in its center, classic buildings surrounding it, and more than its share of local lore, Monterey is one of our favorites. Ginger and John Duncan own and operate V & J Duncan in the northeast corner of the square on Taylor Street. The store, in the bottom of their home, is a treasure store of rare books, prints and maps of this area and beyond. I eagerly await your report on Alex Raskin’s antique store. I have been a friend and customer of Alex for decades. He has a remarkable eye for the rare and unusual.